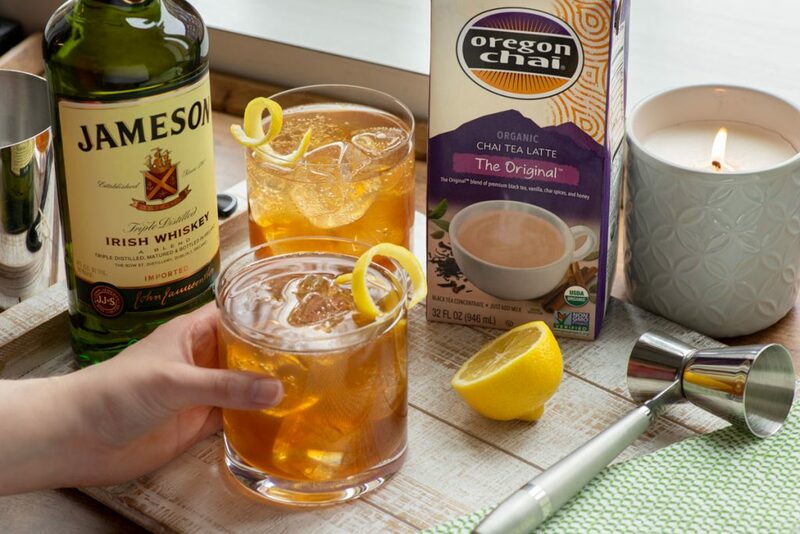 Celebrate St. Patrick’s Day by combining Oregon Chai Tea Latte Concentrate with Irish whiskey! It’s refreshing with just enough sweetness to balance the whiskey. Open your home to friends and family and impress them by making this signature cocktail. Raise your glasses and toast to the luck of the Irish! Add ice to a rocks or lowball glass. Add whiskey, chai concentrate and lemon, then stir to combine. Finish with soda water and a lemon twist. For more Irish-inspired cocktails check out our Chai-rish Haze and Chai-rish Latte recipes. Try out this cocktail and let us know what you think in the comments. Don’t forget to subscribe to our newsletter so you never miss out on our latest posts!